Volunteers from the HFD, windward fire battalion and Josh's Aliamanu Military Reservation Teen group set up a bucket brigade to remove sediment clogging the open water pond. 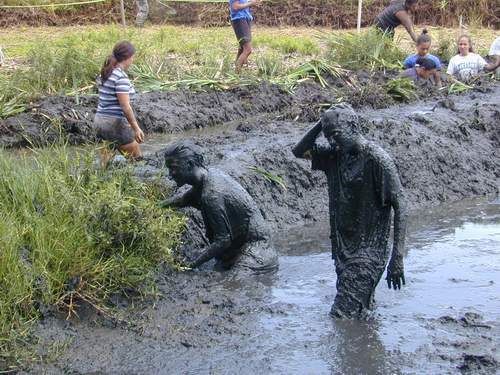 Getting the muck out is not easy. But to do a really thorough job, it may be hard to avoid.